Customer Relationship Management, or CRM, is an integral part of any small business looking to optimize their ability to manage prospects or leads through a sales funnel to becoming a customer. 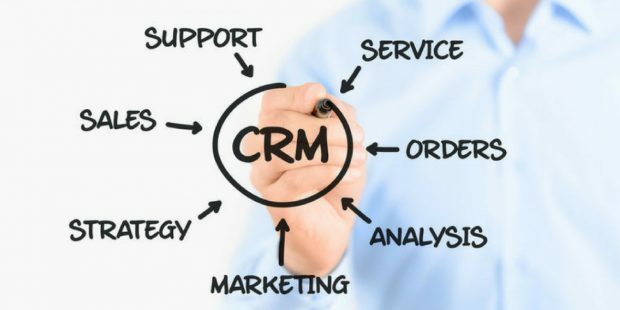 A strong well-managed CRM then allows you to service those customers better and continually sell and service them in a way that lets you, as the business, to customize specifically to what they want or have an interest in. Beyond the massive benefit of personalizing the customer experience, a CRM also allows a business the ability to share real-time live information across the company – from Sales to Management to Customer Service – which can be incredibly powerful! I recently had the chance to talk to Jamie Venlet, a member of the sales team at MultiCam, a manufacturer of CNC (Computerized Numeric Control) Machines located in Grand Rapids, MI. MutliCam both sells their machines, which start around $30K and go up to $1M or so and services them for their customer base. To better manage both sales and service, they needed a solution that allowed them to tie the two aspects of the business together. A solution that enabled them to tie together sales prospecting, email marketing, service ticketing and work orders, and customer service. The solution they found was Insightly; an online CRM tool made for small and growing businesses. As Venlet points out, one of the biggest advantages to using the CRM is that it allows them to keep every bit of information about a customer in one shareable location, including information that the program finds online about the customer. “Those little things help and give you an edge over your competition,” says Venlet. And he is right. In today’s super competitive business environment, it is things like having or not having a CRM that can be the difference in getting the sale or not. Probably the biggest advantage MultiCam gets from their CRM system is the ability to share information internally across all members of the team. “God forbid one of us dies. If you have a small company and there are just five of you, 25% of your business could be out the door with one person being incapacitated simply because no one else knows what’s going on. All the notes in the individual’s head or spread across their desk are of no use to the business,” says Venlet. Team members add all customer notes directly to their contact file in Insightly, which immediately updates for the entire company. Everyone sees information real-time, so if someone is out sick or on vacation, communication and service no longer have to wait for his or her return. See how this #Michigan #business uses @insightlyapp to better manage communication & sales. A key aspect of why Insightly works so well for MultiCam is the ability to integrate other tools and software with the program. As Venlet explains, Insightly is a big advocate of pushing Zapier, a free software that allows you to connect different software tools without having to know how to write code. MultiCam is using this method to integrate Constant Contact with Insightly. Taking it a step further, MultiCam hired someone to program API integrations as well, which allows them to tie in their ticketing system so people, such as salesman, can see real-time exactly what’s happening with customers. This is extremely helpful for those in the field who are calling on customers and instead of being blindsided by problems when they walk in the door; they can go in knowing everything that is happening and start the call from a favorable position. It is a feature that has greatly improved their customer service and internal efficiency.